I’m a craves-waffles-at-midnight kind of breakfast food person. I absolutely love it. The calm, rainy Saturday us Kentuckians experienced this past weekend simply screamed Jack Johnson mellow acoustics, inspiring me to venture into the world of banana pancakes for the first time. Boy oh boy, am I glad I did. 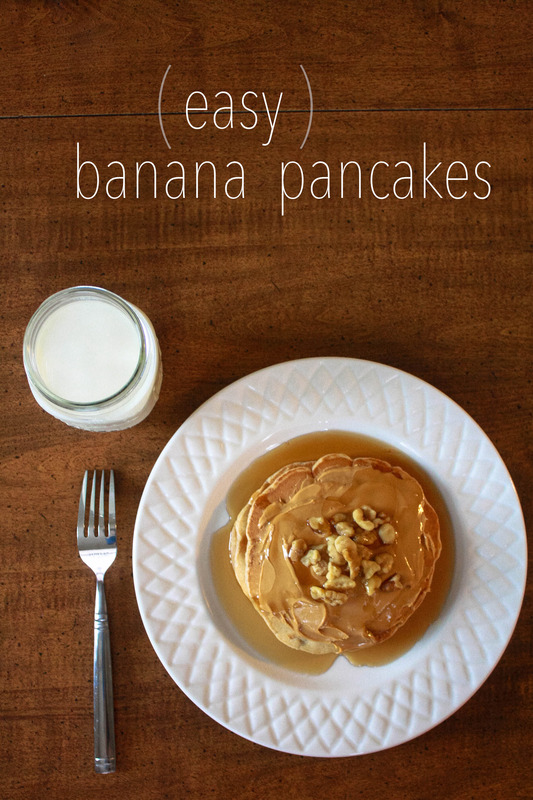 So glad in fact, I’m sharing the recipe with you in case you’ve had similar depravity from banana pancakes in your life. I’m hooked. Whisk together dry ingredients in a small bowl (flour, baking powder, cinnamon, salt, sugar). Whisk together wet ingredients in a medium bowl (mashed bananas, egg, milk, vanilla, vegetable oil). Stir dry flour mixture slowly into wet banana mixture (batter will be lumpy). 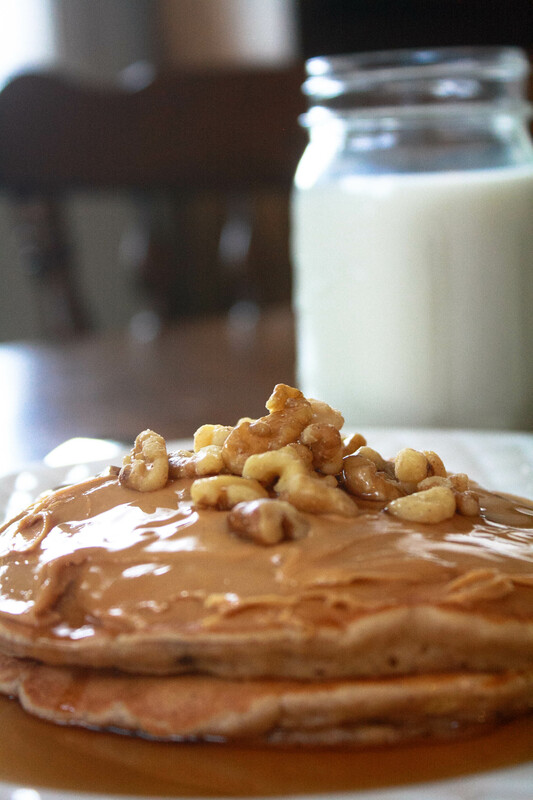 As shown above, we garnished ours with creamy peanut butter, walnuts, and maple syrup. Yum. Let me know how yours turn out, and what other toppings you like to use! Comment below or by clicking on the little thought bubble up near the title.